Uganda is not the typical tourist destination in Africa, very few people get to see the true sub saharan side of Africa. We got to see all of the different sides of Uganda - the city, the rural areas, and the wild areas where only the animals rule. It was such an honor to be able to experience a place very few people will ever visit. Uganda is one of the last two places on earth you can see mountain gorillas in their natural habitat--the other is Rwanda. After a 12 hour drive and a 6 hour hike through the Bwindi Impenetrable Forest, it was such an honor to see these mountain gorillas in their home. This was the highlight of our trip. 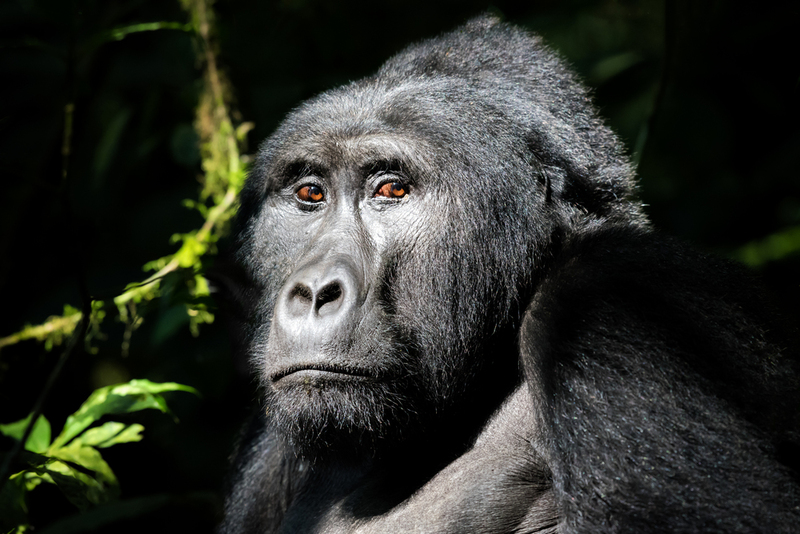 There are fewer than 900 mountain gorillas left and they live in areas full of civic wars, poaching, and encroaching human population - we're lucky these gorillas are still around today. Showcasing the optimistic future - on the right is a 5 month old gorilla infant. This hippo jumped right in front of our boat in the Kazinga Channel - a spot with the largest concentration of hippos in the world. Although they look cute, hippos are one of the most dangerous animals in Africa due to their unpredictable and territorial nature. Boda Boda's are the main source of transportation for the local people in Uganda. This rural road we went down was narrow, windy, had no street signs, and had numerous potholes. The Crater Safari Lodge is a hotel on top of a mountain, overlooking a crater lake, overlooking the Kibale Forest National Park - it felt unreal. We were lucky to get a view of a mother elephant and her son through the thick vegetation they were covered in. While whizzing through the streets of Fort Portal, this girl's shadow and expression caught my eye as the sun began to set. This group of children stared longingly into a compound hosting a wedding celebration - which was protected by a huge steel gate and a soldier with an AK-47. Schistosomiasis is a disease caused by parasitic worms which can sometimes lay their eggs in the intestinal wall and cause a bloating of the stomach, as pictured. This wall is inside the torture chamber of Idi Amin's - the former Ugandan president - where he piled hundreds of victims in a 10x10 foot room, filled it with water, and electrocuted them to death. The scratched on word spelled "NEVER." This kid was intentionally mutilated to beg for money, while his captor was waiting impatiently for his share. This was a heartbreaking scene to see in person and I could barely even look at this photo after I took it.